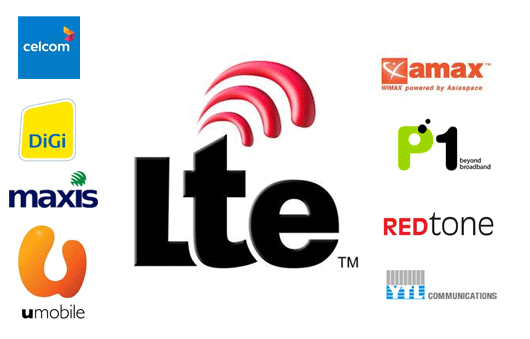 How LTE affect to Malaysia's mobile content business? In December 2012, MCMC (Malaysian Communications and Multimedia Commission) has announced that eight companies were allowed to access the country's 2600MHz spectrum band for LTE services. The eight companies were Celcom, DiGi Telecommunications, Maxis Broadband, Packet One Networks, Puncak Semangat, REDtone, U Mobile, and YTL Communications. Earlier in 2013, we have slowly seen local Telcos rolling out their LTE services with a lot attractive data plan bundled together. Maxis has launched their high-speed 4G LTE network on 1 January 2013, and (according to Maxis) they are also the first Telco in Malaysia to activate 4G LTE for Apple devices such as iPhone 5, iPad mini and iPad 4, as well as you can see the same thing with other local Telcos like Celcom and DiGi. Of course, penetration of LTE service has to work closely with phone maker, and this investment can't be a successful if none of their subscribers is upgrading to LTE phone. Hence, you can see how desperately Maxis is pushing their iPhone5 and Samsung 4S package with so much attractive data plan. In fact, I have signed up too with Maxis for their iPhone5 package. We see this as an advantage to our industry in term of the delivery of mobile content. 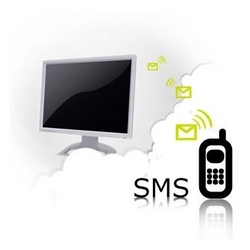 A solid connectivity between mobile phone and content provider is extremely important once a mobile user has subscribed to their service via SMS short code. Today, many Mobile Content Providers (CP) has started shifting their content delivering method from SMS to internet channel (included GPRS, EDGE, 3G, LTE). In early years, when you purchase a mobile content via short code, you will usually receive the purchased content in SMS format, and now (as most of the mobile users have already signed up internet data plan with their operator) you will most likely receive a WAP SMS with a embedded URL. With high penetration of mobile internet, Content Provider (CP) has started to change their business model by offering even more bigger size content (such as mobile apps and games). Content providers have already 'think out of the box' with all these available mobile connectivity, and SMS has just act as their micro payment tool in collecting payment from their mobile users. Just to share a business case study from EVERWORKS.com, my client was thinking to offer some pre-launch test play for their latest online game and to allow their client to purchase the test play credit online using credit card. The price for each credit is RM5. Initially, my client has planned to use credit card payment to sell this credit online. But to setting up the online payment gateway maybe too time consuming for this short term service, and most of clients may not have credit card yet at their age (age between 16 to 20). So how do EVERWORKS solved for this client? We at EVERWORKS.com has suggested to use our premium SMS short code (such as 32886, 33886, or 36886 in Malaysia) to sell the game credit. But how to incorporate with their online business? In our proposal, we will integrate our SMS gateway with my client's existing servers (server that manage and generate activation code), and pass the activation code to our SMS servers. So, if anyone request the test play credit in their website, the website will instruct the users to purchase it by sending in a SMS command such as GAME 1 to 32886. Our gateway will then reply the mobile user the activation code via SMS, and charge the RM5. User can key in the activation code on the web page to continue their game. 4G LTE is growing very fast ...... From the recent report by research firm, Wireless Intelligence has revealed that there are now 100 million 4G LTE connections across the globe. According to the research specialist, there are now 163 LTE networks operating in 70 countries. Furthermore, these figures are expected to increase to more than 400 networks in 120 countries by the end of 2017. Operators in countries such as Australia, Canada, Japan, South Korea and the US have so far been principle drivers of this industry growth, with 90% of the international LTE connections market. “Around 100 LTE networks have launched last year globally and as many are expected to launch this year,” said Joss Gillet, senior analyst at Wireless Intelligence. Gillet also predicts that there will be in excess of 900 million LTE connections globally by December 2017, reaching one billion in the first half of 2018. How to choose the right IT support company?